Another fun rally! 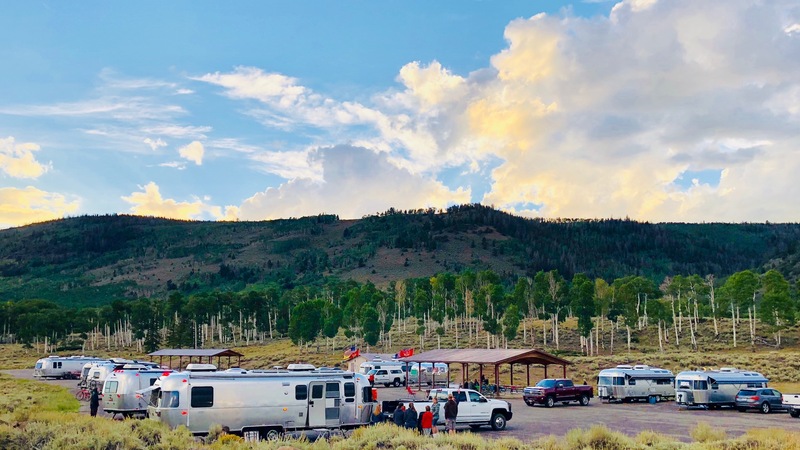 Several club members enjoyed a weekend rally at the beautiful Doctor Creek group campground at Fish Lake in the Fishlake National Forest in central Utah. 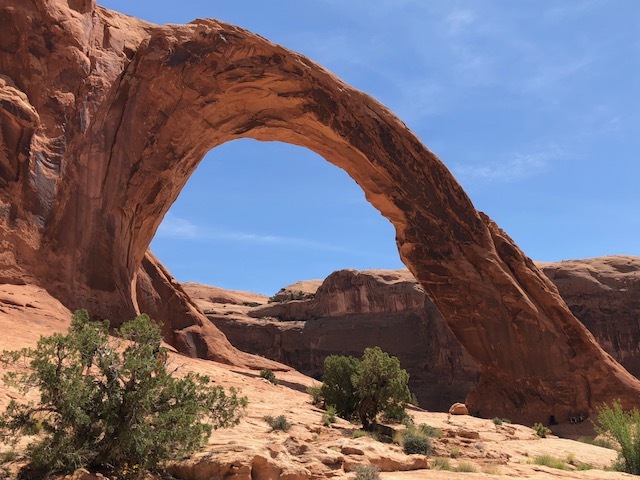 The group enjoyed hiking, biking, boating, fishing and exploring local attractions in the area including a scenic hike in Capitol Reef National Park. 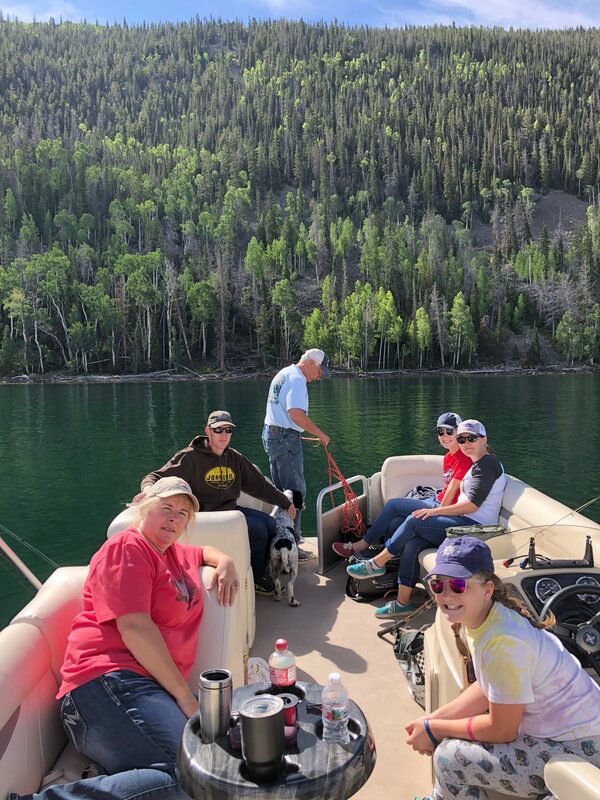 Fish Lake is one of Utah’s largest natural lakes covering 2,500 acres, famous for 20 to 30 pound Mackinaw lake trout as well as other smaller species like Kokanee salmon and Rainbow trout. 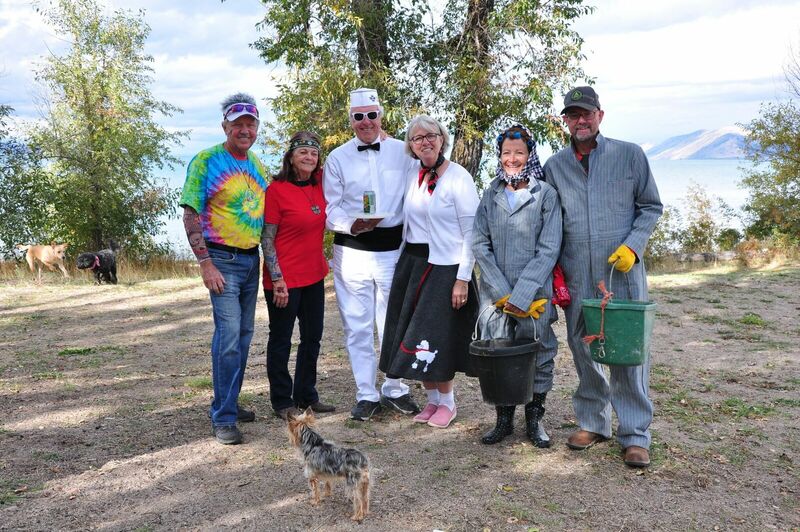 Special thanks to our rally co-hosts, Jeanne & Keith Lund and Holly & Ron Jorgensen. 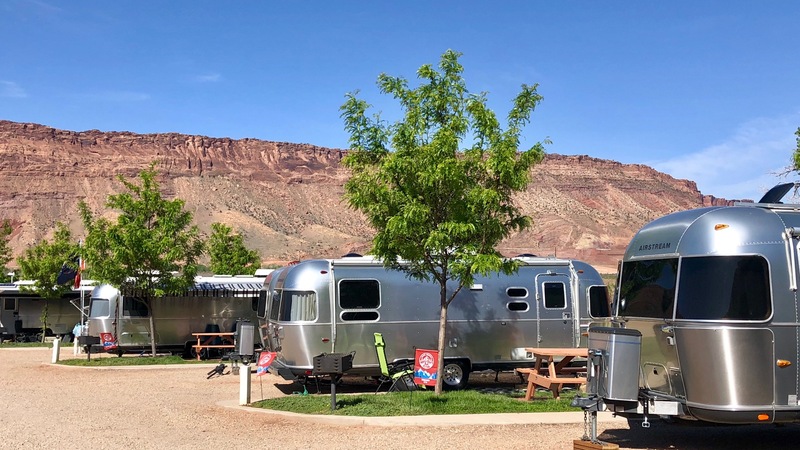 A large gathering of AS owners turned-out for the free breakfast and presentation by certified Airstream technicians at the Airstream of Utah dealership. UWAC club members and other AS owners learned about exterior maintenance, as well as pointers on electrical systems, batteries, plumbing drains, tires, hitches and other AS matters. Thanks to the knowledgeable service techs for answering all of the questions from the AS owners who attended. 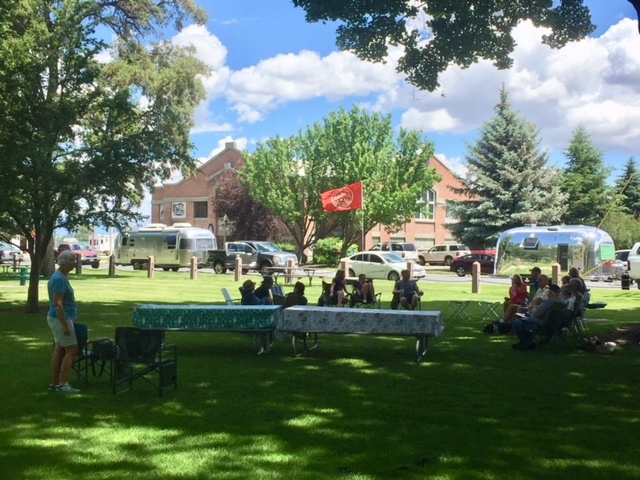 Thanks to the Airstream of Utah dealership and UWAC for co-hosting this fun and informative event. 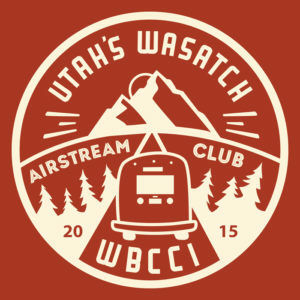 Nearly 30 club members gathered at the beautiful Airstream of Utah showroom for our UWAC end-of-season party. 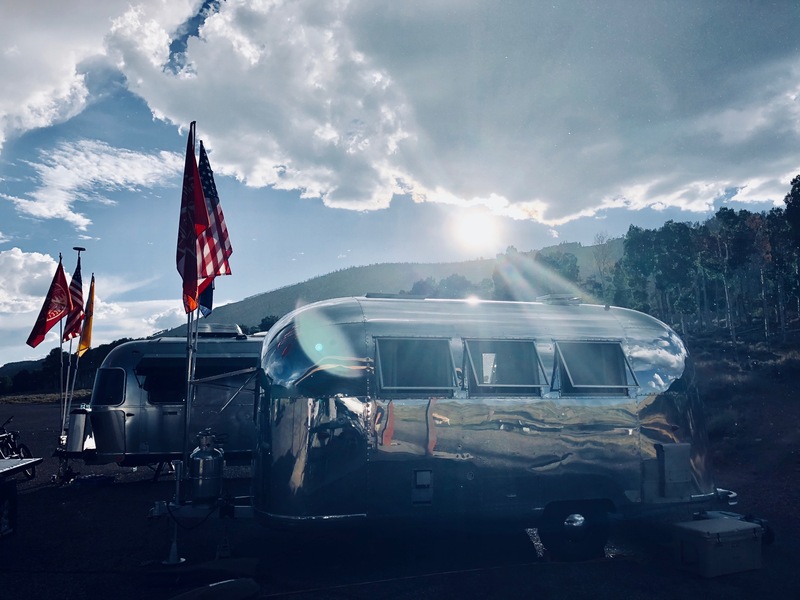 Special thanks to Dennis and Laura Decker, new owners of Airstream of Utah, for graciously hosting us at our annual event. It was especially fun to get to visit with them and fellow club members, dine on Cafe Rio Mexican food, and reminisce about the great fun we had together in 2017! As part of club business, we confirmed our new slate of officers and directors for the upcoming 2018 year. See the updated list of officers under the Officers tab on the web-site. Special thanks to Ben Schofield for his dedication as President the past 2-years. Congratulations to Julie Schofield and the rest of the officers for their new roles. Most importantly, we shared information on the current slate-of-events for the club in 2018. 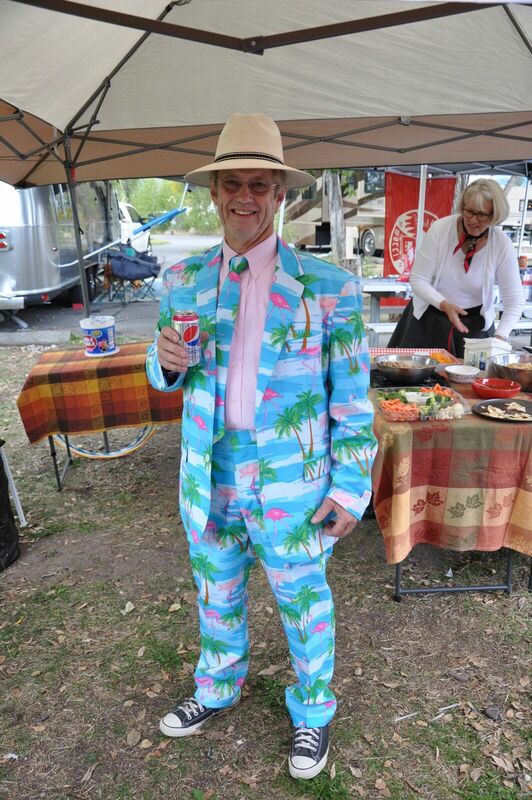 We’re excited to kick-off the season in May at the Airstreams and Arches Spring Rally, and then proceed in June with a Unit Caravan to the WBCCI International Rally in Salem, Oregon. See the Rally Schedule tab for more information on 2018 plans. Holy cow! Who knew this group of adults could be so much fun! 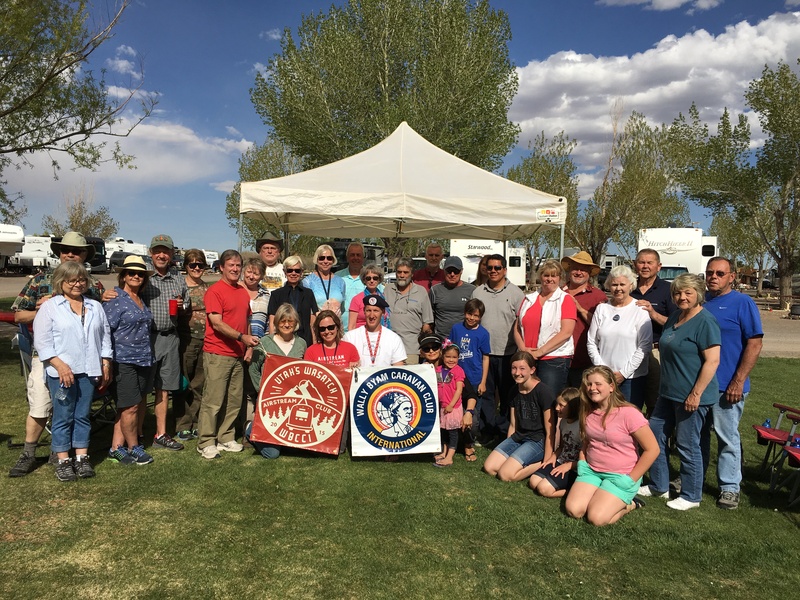 A great group of UWAC members and friends from neighboring states gathered at Bear Lake State Park (Big Creek Campground) for a weekend of games and camaraderie. We enjoyed a chili cook-off, scavenger hunt, costume party, campfire with s’mores, games/prizes galore, and lots of good food & company. Special thanks to our fantastic co-hosts, Joan and Steve Brinton and Linda and Ron Seitz, for such an energetic and well-planned rally! Special thanks to Linda Seitz for her beautiful hand-crafted UWAC quilt which was raffled-off and won by Lorri Karpinski. 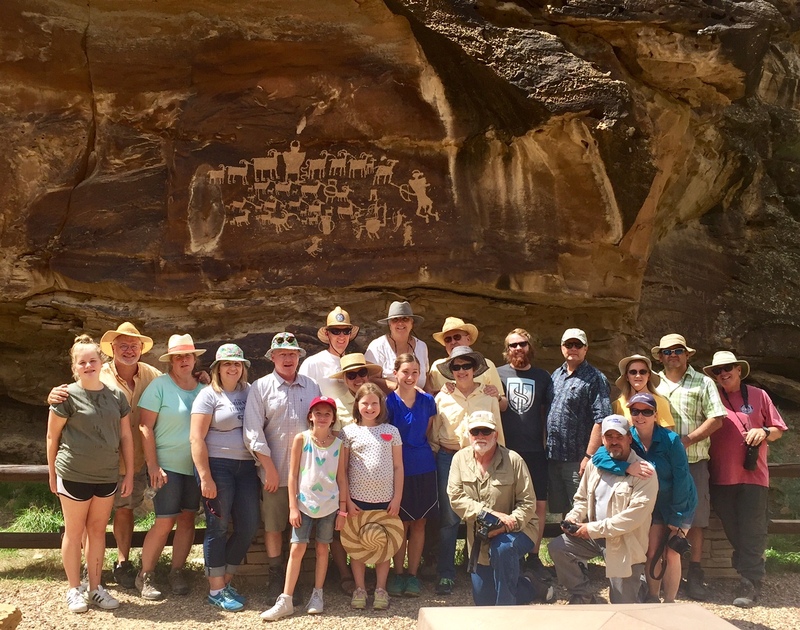 Twelve UWAC and affiliated members joined together for a fun and educational tour of Nine Mile Canyon. 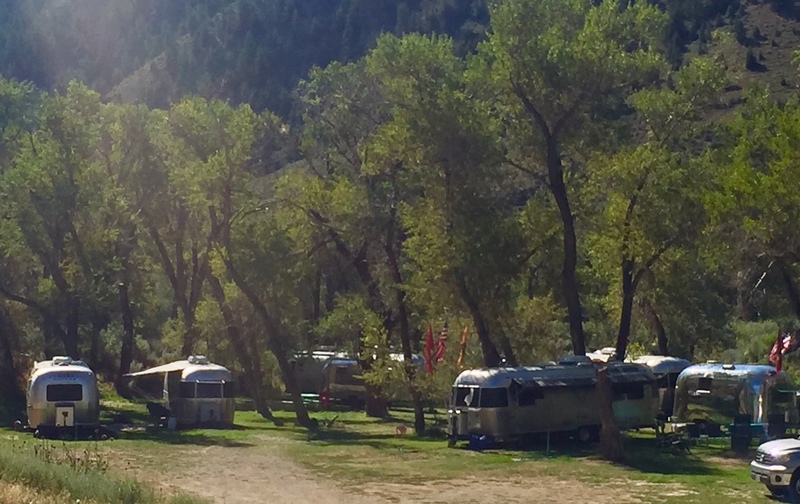 The group stayed in the beautiful Kokopelli campground at Nine Mile Ranch. The canyon is an extraordinary outdoor museum with remarkable pictographs and petroglyphs throughout. We were fortunate enough to be guided by the owner of Nine Mile Ranch, Ben Mead, who has worked and explored the canyon for over 60 years. The experience was truly remarkable and memorable, up to and including the elaborate Dutch oven dinner on Saturday night. A great time was had by all – great fun and fellowship! Great turn-out and fun, despite some chilly and challenging weather (Springtime in the Rockies, you know.) 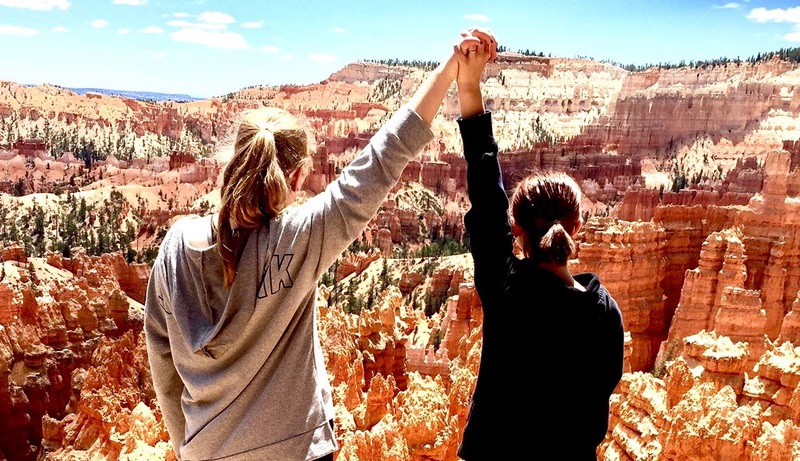 In addition to the standard suite of club get-togethers, the rally had a number of fun activities including a 8 mile hike around Fairlyland Loop in Bryce Canyon, sun and stargazing, and some musical talent sharing. There are some impressive chefs and cooks in the group, as the quality of food sharing was simply fantastic, right up to the dutch oven dessert at the breakfast on the last day. This is a fun and diverse group with folks with a broad set of interests (did you ever want to view a celestial object that’s 35 million light-years away? Well, here was your chance to view the M65 galaxy.) 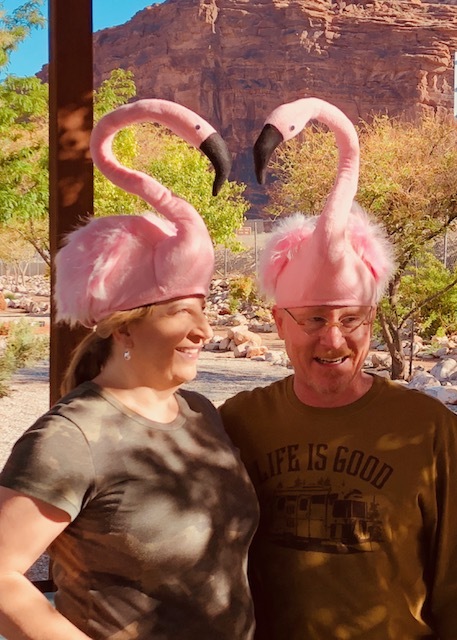 It was extremely fun getting to know our fellow Airstreamers here in Utah and surrounding states, including great folks from New Mexico and Wyoming. Thanks for braving the weather!! 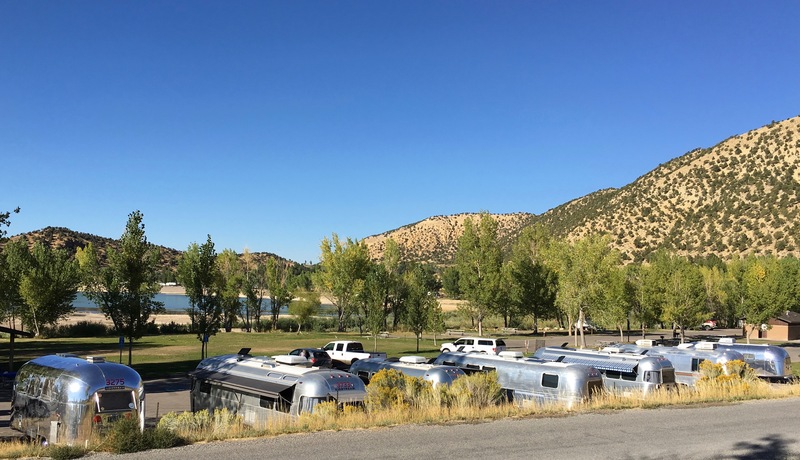 Several club members enjoyed a sunny, fun and relaxing Airstream rally at Palisade State Park just outside of Manti, Utah. 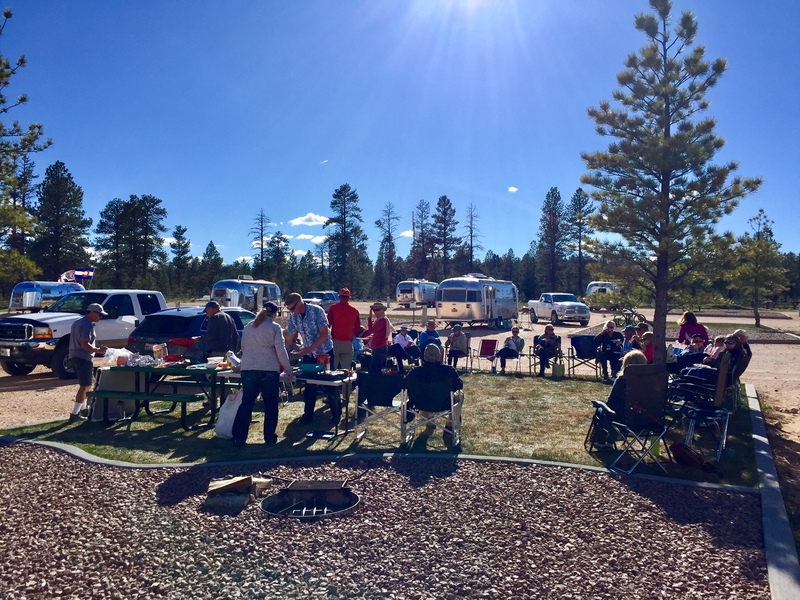 We enjoyed a dry camping rally in the Sandpitch group area complete with happy hours, barbecue, and guitar playing around the campfire. 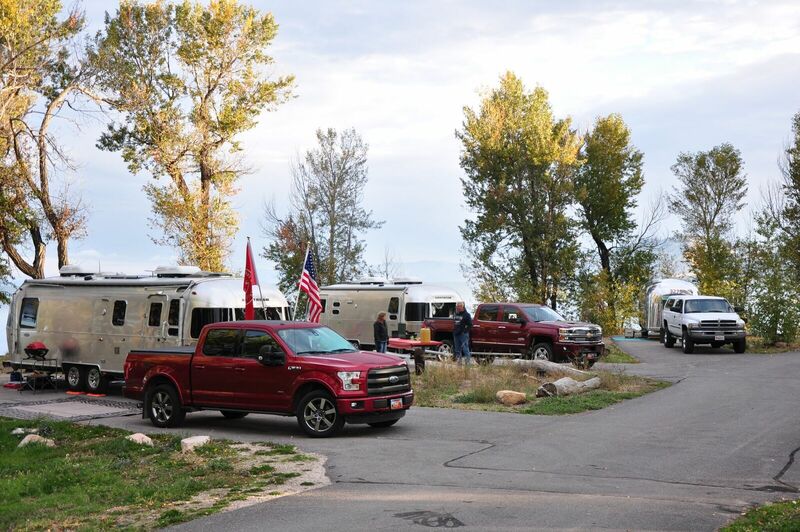 Palisade is a great setting for just about everyone — golfing, fishing, paddle boats, jr. ranger program, geocache, a 5k race on Saturday, ATV rentals, and a whole lot more!